In photo are The Voice Kids with (from left) RBU Head Executive Secretary Aine Aira Tomada, Regional Business Unit Head-Visayas Shing Llanos, Management Associate Beatriz Cruz, Visayas Trade Marketing Manager Nelson Judaya, Store Development Officer Marcos Arnie Presas, Trade Marketing Officers Leah Sausa and Orven Zaragoza, and HR Manager-Visayas Katherine Quesada. 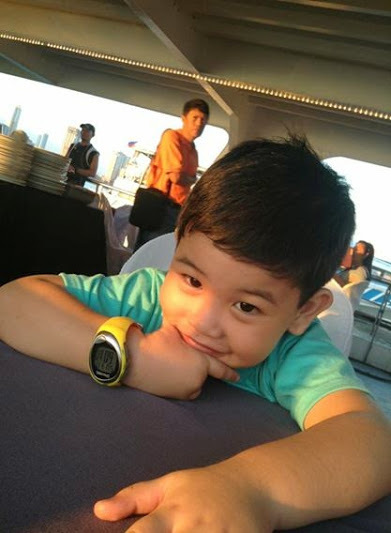 The Voice Kids Top 4 Darren Espanto, Darlene Vibares, winner Lyca Gairanod and Juan Karlos Labajo have signed up as the newest members and Jollibee ambassadors of the coolest club for kids—Jollibee Kids Club (JKC). The young talents were formally introduced as JKC members during their second major concert held at the Waterfront Cebu City Hotel. Darren, Darlene, Lyca and JK had a meet-and-greet session with 20 lucky JKC members, signing autographs and taking photos with their fellow kids. In a special segment during the concert, the four also sang the JKC theme song “Dito, Masaya,” dancing with everyone’s favorite friend, Jollibee. i was not able to create a valentines card for mum + dad this year, but i wrote these doodles on my magnetic slate especially for them! i thought it was just as sweet! mum asked why there were too many hearts on my doodles + i said because that is how much i love her + dad! 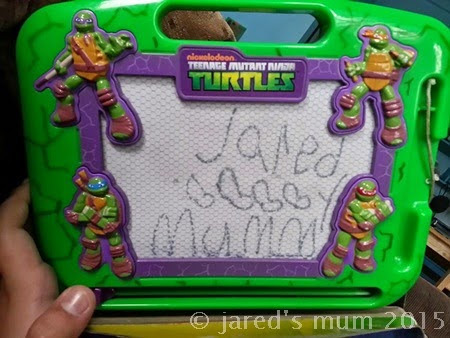 yup, i know i still have to practice a bit more on my writing, my mum told me so. 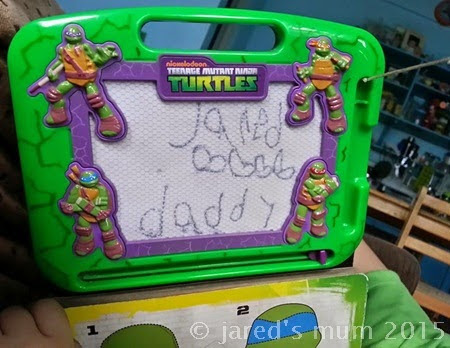 i am just too tired sometimes + most of the time it is more fun to play with my toys or watch my favorite cartoons on the telly than to work on my writing worksheets. i know i cannot delay it much longer because mum will definitely find a way to convince me to do it, anyway! The arrival of a newborn is an important milestone for parents – a joyous occasion for every Filipino family. This is the time when parents receive baby gifts, child care tips from family and friends, and more importantly, the privilege of helping nurture new life into the world. Being a new parent means having your littlest loved one depend on you for everything. To help expectant parents or parents of newborns journey into their new life stage, Manulife Philippines has now made life insurance more accessible through its “Bundle of Joy” advocacy. 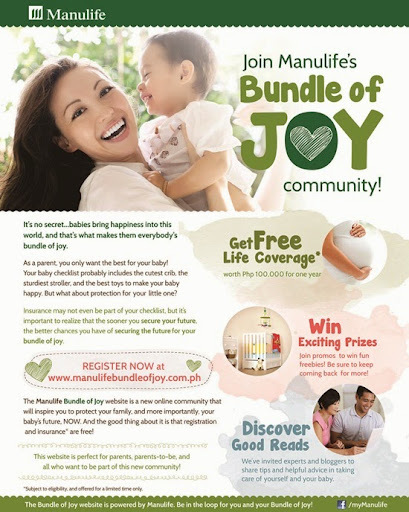 Anyone who wants to build a more secure future for themselves and their family is invited to be a part of Manulife’s Bundle of Joy community by signing up to www.manulifebundleofjoy.com.ph. Expectant moms and dads, and parents of children under one year of age are entitled to a FREE one-year term life insurance coverage worth PhP 100,000. Furthermore, everyone who registers online can also access good reads and helpful tips from experts, join various promotions and win exciting prizes and freebies. we planned to spend more time outdoors this year + seemed like we were off to a good start as we joined a fun walk at school earlier this year. we had to wake up very early in the morning in order to make it to the assembly place at 5.30am. we were a bit late, but we still managed to join. we had fun walking through the road leading to my school before the sun came up. we were a bit tired + sweaty when we made it to the finish line, but it was all worth it + i really had a great time walking, marveling at the things i see around + getting a much-needed exercise. 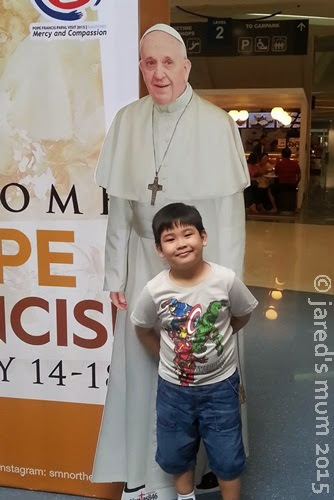 we also managed to catch the Pope Francis Stamp Exhibit at SM ~ The Block during the Holy Father’s visit here + i did not fail to grab the chance to have a quick snap with his life-size standee. Do you like our photo together? 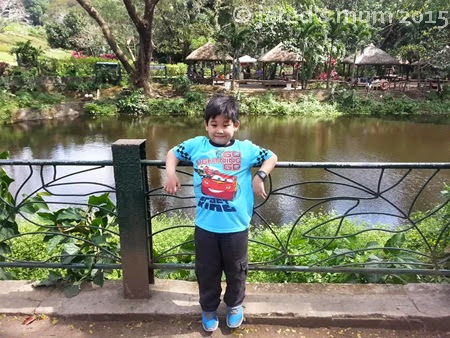 we also managed to go to the la mesa eco park last month. i’ve been asking mum if we can visit the place since i saw bogart the explorer’s episode about his visit to this awesome local park! there are plenty of wide open spaces to roam around, lots of beautiful flowers + huge trees. we had fun running around the green grass + spending great time under the sun! we also got a glimpse of the vast la mesa dam, too bad we were not allowed to take photos of it. we enjoyed our park visit so much i cannot wait for us to go back there! where do you plan to travel next this month?